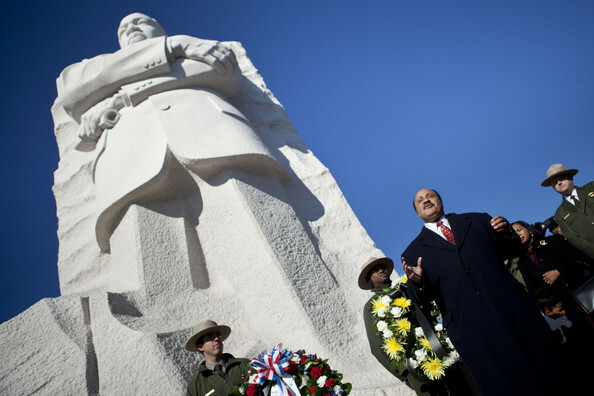 Marin Luther King III speaks at the base of a statue to his father after a wreath laying ceremony at the Martin Luther King Jr. memorial on the National Mall January 15, 2012 in Washington, DC. Martin Luther King III and others joined to lay a wreath at the memorial to Rev. Dr. Martin Luther King Jr. to honor the 83rd birthday of the American Civil Rights leader who was assassinated in 1968.